We conducted the outdoor photography at Lake Biwa Canal. Although I have been living in Kyoto for long years, I’ve never had such an experience. Lake Biwa Canal has contributed to the water supply from the lake to Kyoto, the transportation, the power generation and the irrigation. 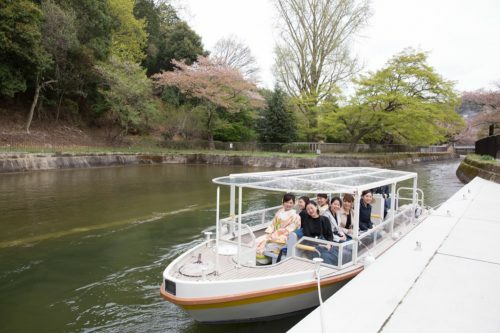 It also supplies water to the villa of Yamagata Aritomo (famous for its beautiful garden), Heian Jingu Shrine and Maruyama Park and helps to enrich the people’s lives. Thinking of the efforts of our predecessors, I just gaped at the beautiful scenery and imagined that the Autumn leaves must be beautiful as well.